Growing up with the age old saying – to have a long and healthy life, there has to be enough vegetables on your plate daily. Considering this statement many people have decided to go vegan for health, ethical or environmental reasons. As per a survey in 2016, about 2% of the U.S and European population defined themselves as vegans. In Africa and Middle East 6% of the population became vegan. In the same year, about 9% of the population from Asia Pacific indicated to follow a vegan diet. Interestingly the vegan diet has become very popular globally. It basically contains only plants – such as vegetables, grains, nuts, fruits, as well as foods made from plants. Unlike vegetarians who consume dairy and eggs, vegans do not eat any products derived from animals. They are also likely to avoid foods where animals are used in the processing systems. People on vegan diets aim to reduce the use and harm of living beings. From reducing our carbon footprint to potential scientific benefits, there are plenty of reasons people go vegan. Research has showed that a varied, healthy vegan diet can play a significant role in improving overall well-being. Few of the effects of eating real, whole foods help in weight loss, improved blood pressure and lower risk of diabetes/heart disease, better digestion and sleep, clearer skin and a longer lifespan. A diet based solely on plant foods may increase the risk of nutrient deficiencies. Hence a well-planned vegan diet that includes nutrient-rich foods is much needed to provide adequate nutrient levels. If the specific requisite is not met, it may pose a risk to those with increased requirements, such as children or women who are pregnant or breastfeeding. However a vegan diet offers good sources of calcium and iron. A vegan diet can be high in iron, but derived from plant-based food is less effective than the one obtained from meat. As alternatives vegans can opt for unsweetened soya, rice and oat drinks, nuts, tofu, sesame seeds and pulses, brown bread, dried fruit such as raisins, figs and dried apricots, breakfast cereals fortified with iron, dark-green leafy vegetables, such as watercress, broccoli and spring greens. Vegan diet helps in reducing the amount of calorie intake, thus resulting in weight loss. It helps in lowering blood sugar levels and decreasing the risk of developing type 2 diabetes by 78%. A vegan diet may also help keep our heart healthy. Many studies have reported that vegans may have up to a 75% lower risk of developing high blood pressure and 42% lower risk of dying from heart disease. 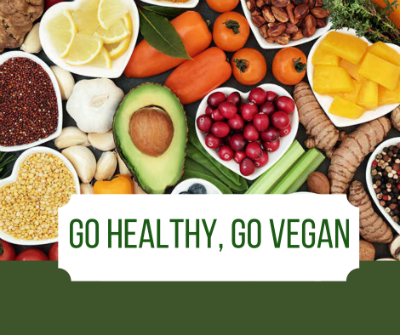 Vegan diets result in various other health benefits including decreasing the risk of cancer, arthritis, kidney function and Alzheimer’s disease. Those following a poorly planned vegan diet are at a risk of certain nutrient deficiencies. The only way to minimize this deficiency is to limit the amount of processed vegan foods and pick nutrient-rich ones instead. This is applicable for all and not only vegans. A few years ago, USA Today reported that nearly 50% of Americans are trying to cut down on the intake of meat. Many students are opting to be vegetarian, vegan, or consume less meat. For all good reasons, the tendency of going vegan is definitely a trending topic these days. For a disease free and healthy living style, our diet is one of the most important parts of our lives. Going vegan or veganism is a way of living that tries to keep out all forms of animal exploitation and cruelty, be it for food, clothing or any other purposes. With veganism we can help maintain our planet, as plant-based living is a prolonged way of feeding the human family. With the rising global food and water issues due environmental and socio-economic problems, now is the time to adopt a more sustainable way of living. So, when are you going vegan? To know more about staying healthy the vegan way, please explore our reports on vegan diet in detail on “Vegan Food”.